Tension (sometimes known as gauge) means the number of rows and stitches you need to create a specified measurement, using a given yarn and needle size. Most yarns state their recommended tension on their label, and while it’s not crucial, if you’ve not used that yarn before, it’s a good idea to practice so you know you’re not holding it too tightly or loosely. Your tension can change depending on different variables including the yarn size, the needle size and the type of yarn. 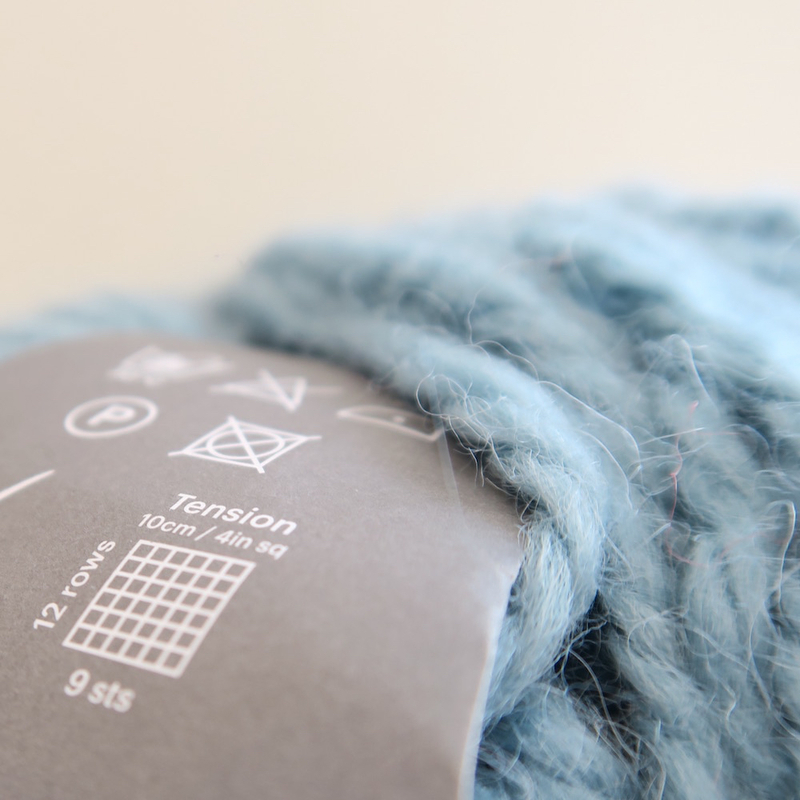 To test your tension, knit in stocking stitch twice the amount the label recommends. Measure a square in the middle (usually 10 x 10 cm) and count how many rows and stitches you did to make it. Don’t worry if it’s only very slightly out! If you’re way off, try changing needle sizes to tighten or loosen your tension a bit – half a size up if your tension is too tight, and down if it’s too loose. If you’re still worried about tension (don’t be – you’ll get there!) in your knitting then why not try one of our projects where your tension doesn’t really matter so much, e.g. a scarf. You’ll still make something amazing!